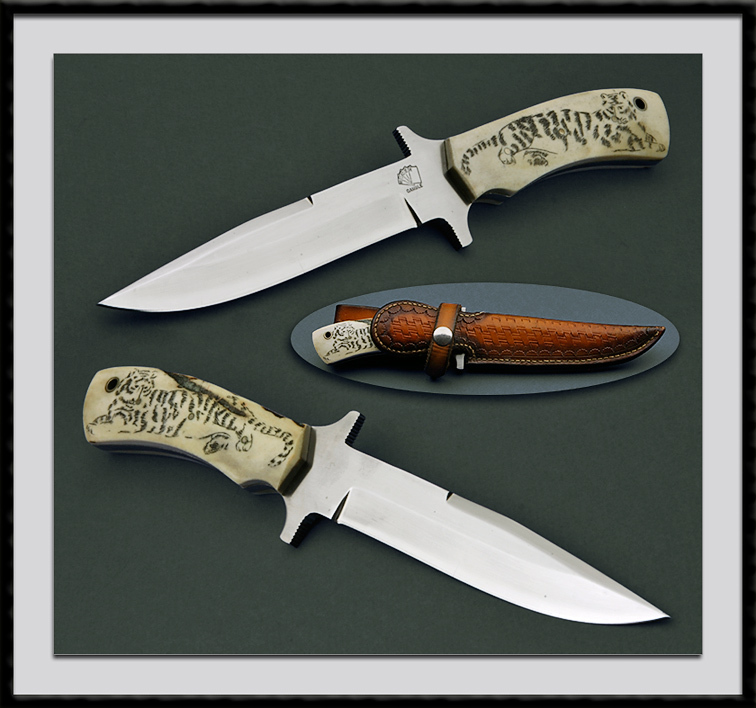 American Knife Guild member, Roger Gamble crafted this Fighter. 440C Blade steel, BL = 5 1/2", OAL = 10 3/8", Scrimmed Polished Bone scales. Condition is near Mint. Comes with the tooled leather sheath pictured.